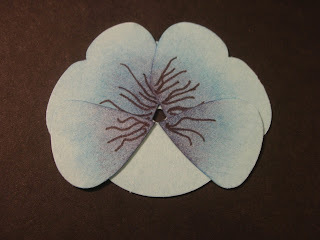 Today I will show you how to make these beautiful pansies using Stampin' Up! 's butterfly punch. 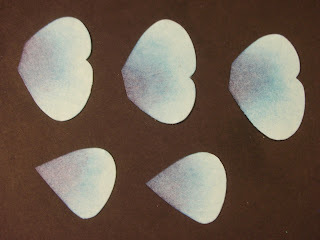 They are so easy to do and turn out so pretty! First, punch out three butterflies and one 1 3/8" circle with the center punched with the 1/8" circle punch. Place circle aside for later. 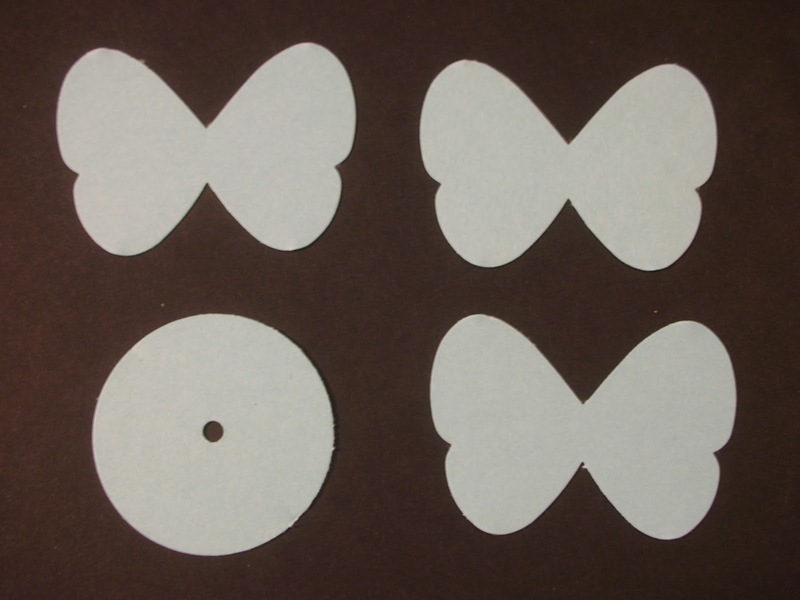 Cut all three butterflies in half. 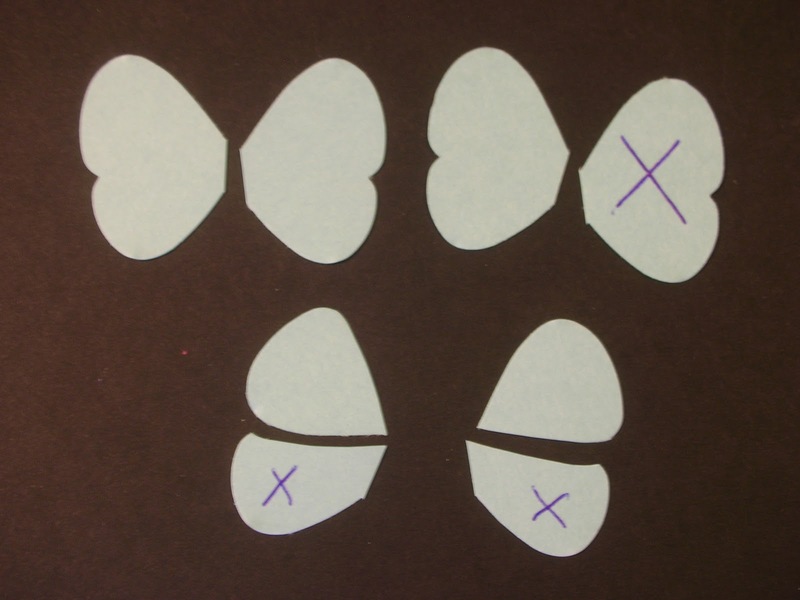 On one butterfly, cut each wing from the outside indentation to the point at the top of your cut. Make sure to round your scissors as you cut so it is not perfectly straight across. Throw away the bottom halves of those wings as well as one side of another butterfly. You will end up with three whole wings and two half wings. 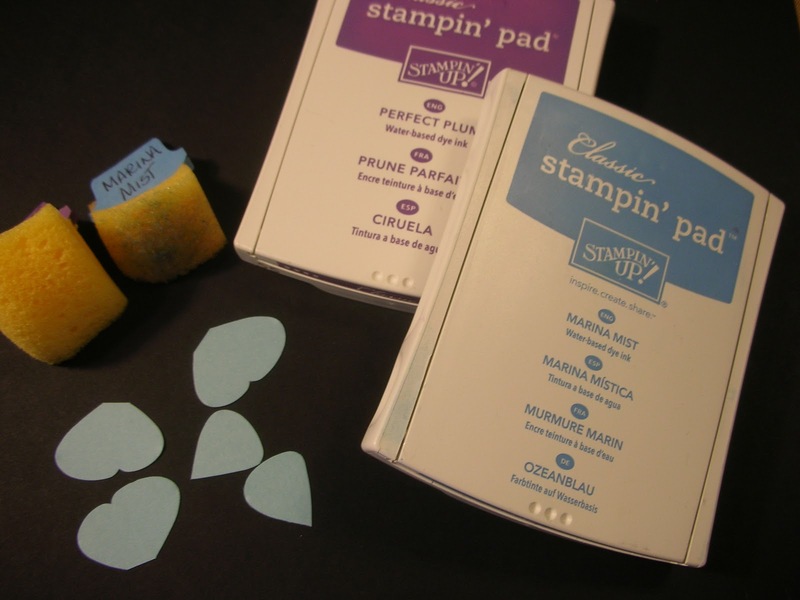 Choose two inks which are deeper than your cardstock choice. 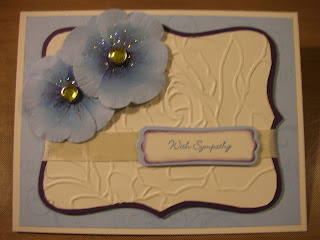 I used Baja Breeze cardstock and Marina Mist and Perfect Plum inks. 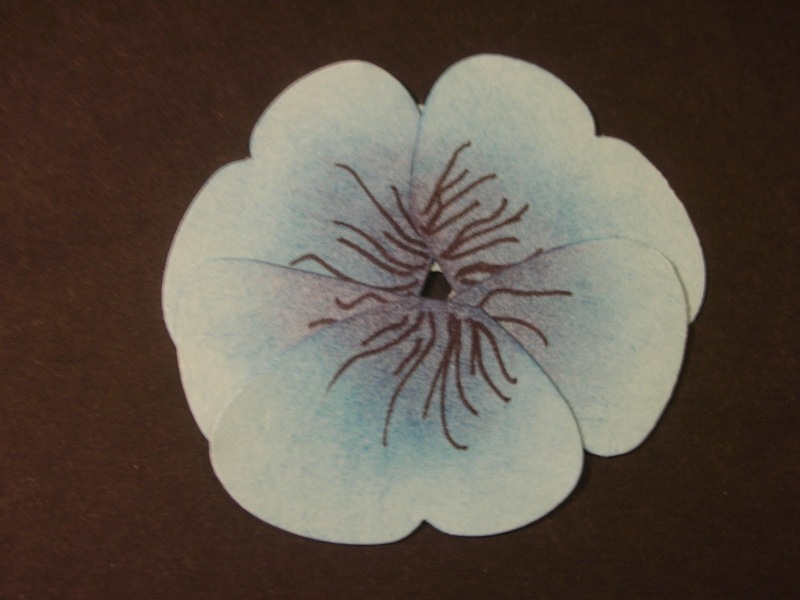 Using sponges, start with Marina Mist ink and start at the inside of the wings and dab the color toward the outside. 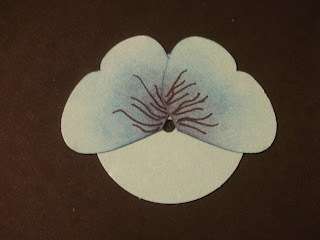 Then repeat with Perfect Plum but keep it closer to the inside. Come back with Marina Mist to smooth the look. 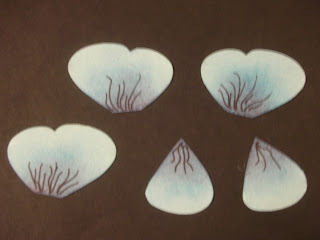 Using a Basic Black marker, create veining on insides of wings. Assemble by adhereing one wing to the round circle leaving the center visible. Overlap and adhere another full wing next to it. Overlap and adhere each half wing to either side of the full wings. Adhere last wing at the bottom creating the pansy. 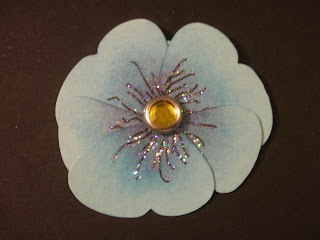 Using a glue pen, adhere Dazzling Diamonds glitter along veining lines and attach rhinestone brad in center. 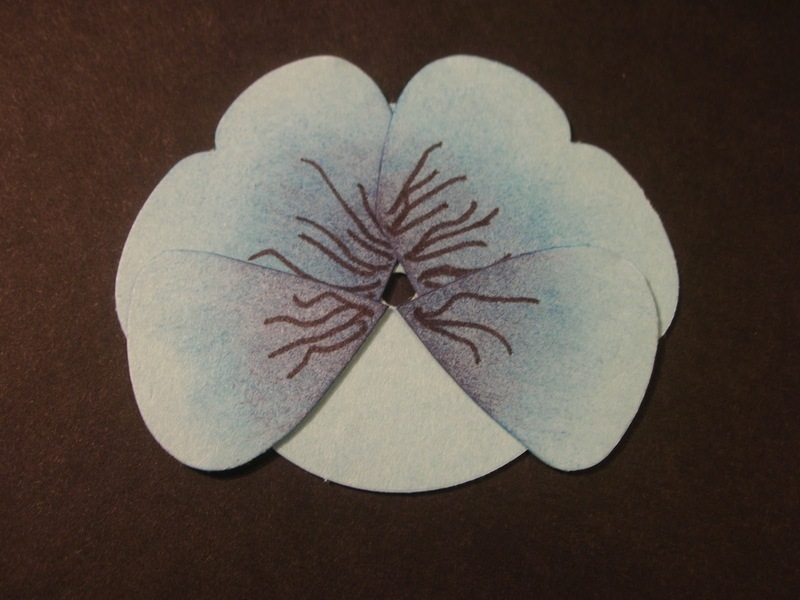 Finally attach these to your card and you have a beautiful card using butterfly pansies! Stampin' Up! - Just Believe!! !